Home > Questions-Answers > I have sinus headaches…could this be migraine? Patients with migraine are often diagnosed as having sinus headache or “sinusitis”. Acute sinusitis is caused by an infection of the sinuses and is usually associated with other symptoms, such as coloured nasal drainage, fever, post nasal drip in the back of the throat and facial tenderness when the areas over the sinuses are touched. While a severe migraine headache can be associated with nasal congestion, it also results in recurrent headaches over many years associated with nausea, vomiting and sensitivity to light and sound, which is not seen with sinusitis. As well, a migraine headache will usually resolve in 24 to 48 hours while sinusitis usually requires treatment with antibiotics. Migraine attacks often recur on a regular basis. 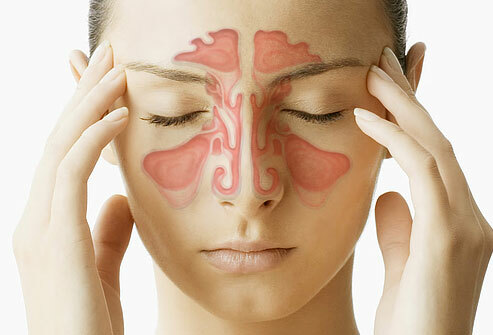 It is very rare to have many episodes of bacterial sinusitis every year. Research has shown that most headaches thought to be “sinus headaches” are actually migraine, which is important because the treatment of sinusitis and migraine is completely different. The migrainous brain is sensitive to external stimuli. Patients having migraines with sinusal symptoms (nasal congestion, pain in the sinus area) may also have migraines that are triggered by sinus irritation to start with. The same situation is seen in patients who have neck pain with their migraines but also report that neck tension can trigger a migraine.